This quote by James Baldwin has been a source of inspiration for Mali-born director Daouda Coulibaly. Literature is his passion because books have the power to challenge and change people from inside out. With Wùlu, Coulibaly has managed to do exactly the same. This truly intoxicating thriller, which has been compared to Scarface by renowned film critics, questions your perspectives in a way that only novels can. Ladji, an ambitious, 20 year-old bus driver, works hard to keep his sister away from prostitution. Familiar with the ins & outs of trafficking, he begins transporting large amounts of Marijuana and cocaine from Mali to Senegal and Timbuktu, to provide on the demands of Al-Qaeda. Ladji is extremely successful and earns more money than he ever thought possible, but he soon realizes he has to pay an even higher price. [RMA] You studied at the Erasmus University in Rotterdam, a university that has little to do with filmmaking. [Daouda] I studied economics. I thought I was happy in what I was doing until something happened in my life that made me doubt that. I moved to cinema and started as a location manager. I later learned how to edit and after that I tried my hand as a director by making my first short film. Because of this short, I met some people from Focus Features who had seen it and did a program about Africa called Africa First. [RMA] Is filmmaking about getting to know people? [Daouda] It is a lot about networking. With Focus Features I made another short film that travelled to many festivals. I got to know a lot of people and after that I started thinking of making my first feature film. But I did not have formal education. And I don’t have a lot of film references. To me filmmaking is more about what I have to say. [RMA] Judging from your film, I thought you had a background in scriptwriting. [Daouda] I like writing the most. Maybe my inspiration is more in literature. I’m interested in organized crime and James Baldwin, for example. He was the one who wrote that the most dangerous creation is the man who has nothing to lose. Amongst criminals there are a lot who feel that way. And then there was what we, in Mali, call “The Air Cocaine Affair”. A plane crashed with potentially 5 to 10 tons of cocaine inside. No one found it, of course, which is how we came to understand how big the phenomenon was. [RMA] What is your relationship with Mali? [Daouda] I grew up in France but I have always been going back and forth. I was going to Guinea, Mali and Senegal. I made my two short films there. Somehow, to me, filmmaking has always been connected to Africa. Maybe because I live in France and I know how little people know of Africa. They think there are no big cities and it’s only savanna. Through filmmaking, I try to propose something new. It’s not just misery and disease. There are people with dreams, just like in Europe. For Wùlu I lived in Mali for four years to do research and talk to people who were connected to the drug industry. I was completely emerged. [RMA] I understood you shot most of the film in Senegal? [Daouda] One week in Mali and six weeks in Senegal. It was supposed to be the other way around until there was an attack in Bamako in March. It became too dangerous and therefore we relocated all the interior scenes to Senegal. [RMA] You film is about Ladji but at the same time it also touches on politics, crosses borders and visits Al Qaeda. Wùlu could have easily been over two hours. 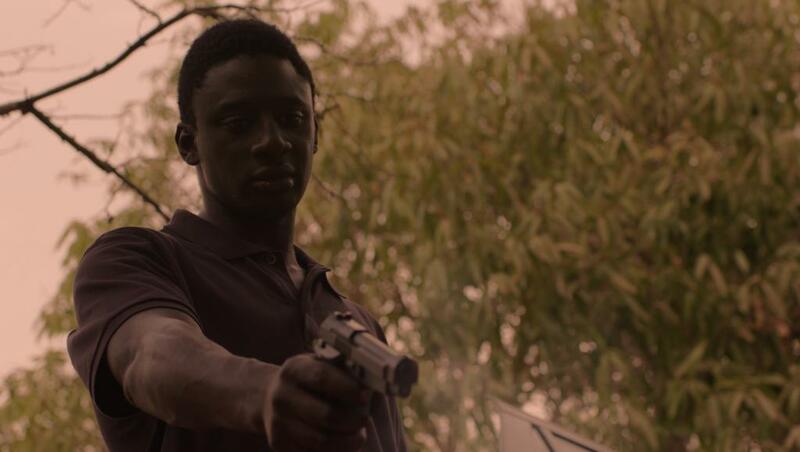 [Daouda] I wanted to focus on the character. Ladji is the film and I thought ninety minutes would be enough to explain him. I do hope the film gets people interested in Mali and research some politics. I also hope they understand the consequences of drug abuse in the West. This industry does not only influence my life but also yours. Africa is not another planet. It is part of the world. [RMA] Another character with remarkable development is Ladji’s sister Aminata [singer and model Inna Modja], who is introduced to us as a prostitute but ends up buying art and designer cloth and speaking only French. [Daouda] The more money, the more education, the more people speak French. Aminata’s character has been criticized a lot but to me she symbolizes freedom. She easily adapts to her new life and she does whatever she wants. She enjoys her wealth but is she to blame? She is much smarter and stronger than most of us. I thought it was interesting that it is not Ladji killing people that shocks an audience but a woman who sells her body for money. [RMA] I read actor Habib Dembélé was a candidate for the presidential elections in Mali. [Daouda] [Laughing] I forgot about that! But it’s true. He was not serious though, just provoking the system.